Why do employers care about your credit? 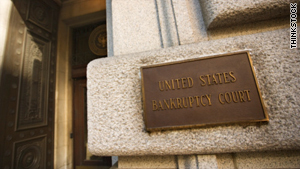 A bankruptcy on your credit record may hurt your chances of getting hired, experts say. (CareerBuilder.com) -- When you're looking for a job, you're probably not thinking about your credit score. But you might want to start. Though many people argue that credit scores have nothing to do with their capabilities on the job, some employers say differently. Sixty percent of employers recently surveyed by the Society of Human Resource Management said they run credit checks on all or some potential new hires. That's up from 43 percent in 2006 and 25 percent in 1998. Opinions on whether or not this is fair vary. Supporters of credit checks don't think it's any different than checking a candidate's references. But opponents see it as unfair -- especially in this economy -- because medical problems, divorce or a job layoff and subsequent missed bills can wreck an otherwise perfect credit score in an instant. "There are lots of good reasons not to hire someone. Usually, bad credit alone isn't one of them. And yet, it's become the reason du jour to disqualify an otherwise highly qualified person to do a job they're particularly well suited for," says Milan P. Yager, president and CEO of the National Association of Professional Employer Organizations. "As job fields become closed and increasingly competitive, you can bet that more employers are utilizing credit check options than ever before." So why do employers look at your credit history? The reasons vary. Sometimes it may be because of the nature of the position to which you're applying. "Certain categories of employers regularly review credit histories [such as] banks, brokerage houses, government and other financial institutions. Evaluation of credit history is [also] frequently applied to accounting and money management positions where there is potential for fraud and embezzlement," says Wendy Powell, author of "Management Experience Acquired." "Employers have a responsibility to assure that the proper due diligence is applied. Be prepared for the possibility of a credit review, not only in the application process, but also throughout the employment relationship," she says. Other employers look at credit histories in order to separate one candidate from another. "Credit report information is an excellent data point when comparing and contrasting two or more candidates for the same position," says Jay Meschke, president of EFL Associates, an executive search company. "If, for example, an applicant reports a significant level of personal debt obligations or credit delinquencies that might distract that person from his or her job responsibilities, then a hiring entity may take that information into consideration when comparing such an applicant to another comparative candidate without such distractions." Or maybe a company just wants to get a better idea of the person it's considering hiring. "Financial information may not be the employer's priority. Ensuring that your employees are responsible and ethical is a must," Yager says. "Relying on character references is becoming less reliable than verifying records and professionally screening workers beforehand. It's true that credit checks can verify demographic and location information. They will include identifiers such as name, spouse, Social Security number, alias, address, phone and previous employment." Barry Maher, author of "Filling the Glass," adds that a credit report can provide a snapshot of a person's economic life that may confirm or contradict the résumé. "Perhaps someone claims they made a good six-figure income for the last 10 years, yet they show repeated credit problems during that period. Are they lying about their income? Are they poor money managers? Do they have a major financial issue that's draining their resources? Any of these might (or might not) have a negative effect on their job." The Fair Credit Reporting Act governs almost all issues related to the use of credit reports. Job applicants have the right to a copy of their credit report, and the law requires the hiring entity to provide a copy to the job applicant. In addition, if an employer decides not to hire a candidate based on the results of a credit report, the candidate must be told the reason why and be provided with the credit report information. Job seekers must be prepared to deal with a potential employer looking at their credit report. "Just as you would if showing your home to a prospective buyer, tidy up your credit record before you put your career on the market," Yager says. "Know your credit score, and examine your credit record. If there's an error, U.S. residents can visit the Federal Trade Commission's website to learn step-by-step how to dispute and correct the error. But keep in mind, there is no quick fix that instantly raises a credit score, so have some patience." "As an applicant, if you've got credit problems and the company asks permission to run a credit report, you're far better off if you bring up any issues they're likely to uncover proactively, getting out your side of the story before the company even realizes there is a story," Maher says. "A lot of people have problems with their credit, particularly nowadays. But you need to control the story, not let the credit reporting company control it. Hiring companies understand no applicant is perfect, but they want to understand that imperfection, whatever it may be." "In most cases, a degradation of credit history is a slow process and would most likely affect those candidates that have been out of work the longest the most," Powell says. "Remember, if your credit history has been damaged, you're in the same boat as countless job candidates. And don't forget, it's a huge boat. Employers have a responsibility to hire the most competent and qualified candidate. Be prepared and have a plan."